Artwork by The Slum Flower. 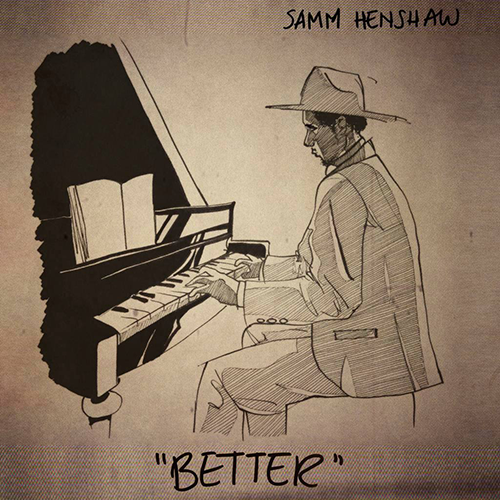 "Better" is the latest track to be taken from 20 year old Samm Henshaw's debut EP The Sound Experiment. On it Samm sings about his girlfriend making him a better person and you can hear just how much she means to him in his voice. Put simply: "Better" is the best thing that I've heard today and I've spent the day listening to new music! Samm Henshaw's debut EP The Sound Experiment will be released on 17th July. Before that he'll be performing at the The Courtyard Theatre in London on Tuesday 16th June, you can find out more details and purchase tickets by clicking here.